Brooklyn, NY - Just days after the Polish prime minister said Jewish perpetrators were as responsible as Germans, Polish, Russians and Ukranians for crimes committed during World War II, Assemblyman Dov Hikind has called on the Jewish community to refrain from visiting Poland for any reason, including pilgrimages to the burial sites of revered rabbonim. Hikind, the son of Holocaust survivors whose grandparents died in Auschwitz, issued a statement Tuesday demanding an apology from Polish Prime Minister Matuesz Morawiecki for his comments which generated waves of outrage around the world, as previously reported on VIN News (http://bit.ly/2BGVS2B). Morawieki’s statement further angered those who were already incensed by the recent passage of a bill making it a criminal offense to utter any statements suggesting that Poland had collaborated with the Nazis during World War II. Visits to Poland, whether to Auschwitz, ancestral home towns or even cemeteries, need to be put to a stop said Hikind, even if just for a short time. Hikind’s words come just over two weeks before the yahrtzeit of the Noam Elimelech, traditionally observed each year by thousands who flock to southeastern Poland to mark the day at his grave in Lizhensk. As someone who considers himself a student of history, Hikind observed that recent events in Poland do not come as a shock. “This is completely unacceptable and a complete distortion of history,” said Rabbi Schudrich. Ironically, Rabbi Schudrich said that he believes that the prime minster’s words were intended hit a positive note by saying that no one would actually be punished under the new law. The wording of that message, however, was poorly chosen, according to Rabbi Schudrich, offending both Jews and Poles. A vast majority in Poland is against the recently passed law and voiced their opposition, but their stance has yet to be reported by the world media, reported Rabbi Schudrich. And the mood among the country’s Jewish community? “Polish Jews now are asking themselves are they still at home in Poland,” said Rabbi Schudrich. Well said. Stop the Reba Rev meleich craze if you really care about the holocuast. Give 2k to tzedaka instead and it"ll be even a biger zechus. Stop the tourism to Poland. Teach those pollaks a lesson. And if you don't do that and deicde to vsist auchwitz anyhow, please don't fool anyone into thinking you care about the kedoshim. You don't. You are going to auchwitz because its an interesting tourist site nebach. If you cared about the kedoshim you would stop funding those pollaks. Dov makes a very strong point but by traveling to Poland to Heilige Rebbe Reb Elimilech will NOT support the country. So many Yidden are in desperate need of Refuahs and Yeshias and they pour their heart out at those heilige Uves. 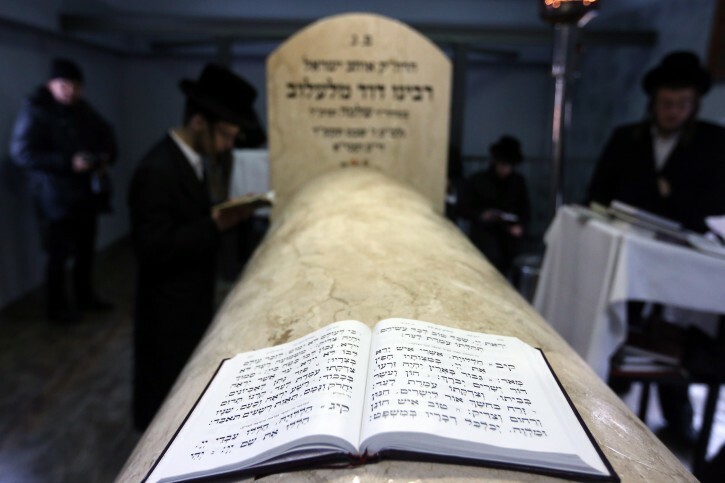 The zechus of the Tzadikim buried in Poland will for sure protect us from any further harm from those anti semites. Pour money in to Israel? The biggest jew hatters is there. The Jewish tourism to Eastern Europe, not only to Rebbes Kevarim, but to Holocaust memorials, Ghettos and Death camps, have been supporting the Poland and the Polish people for decades and it has only become greater in past few years. Real efforts should be made to move tzadikim from the blood drenched soil in Europe, to Israel. “ Dov makes a very strong point but by traveling to Poland to Heilige Rebbe Reb Elimilech will NOT support the country. So many Yidden are in desperate need of Refuahs and Yeshias and they pour their heart out at those heilige Uves.
. So many Yidden are in desperate need of Refuahs and Yeshias and they pour their heart out at those heilige Uves. I don't believe those "tadakim" want you to spend 2k+ to come visit their graves nor do they want you to lose any precious learning or comprised davening by not davening with as much kavana on the plane ride to them. So I say do not go to the reba this 21 adar but, instead take off the day as you would had you gone to lezhink, wake up early, chap a nice hot mikva and coffee, learn an hour before davening, daven ehrlich, and do things for the eibshter (torah, chesed etc.. whatever works best for you techunas hanefsh.) And give the $2,000 to a tzeadaka of your choice. In that zechus the reba reb melech will be a far greater "gita beta" then wasting all that money on pollaks. I am certain that's what he wants. .Some people do go for vacation. They simply enjoy seeing the life of old. So if its a kosher vacation then fine. But please don't tell me its a zechus or something. Its not a zechus. The reba wants you to stay home and use time and resources more widley. While I support Dov ideologically, I don't think he should have made this statement, because it will not work. Today's culture involves things that were very far from priority in past generations. Segulos are heavily marketed, as if anyone has the authority to claim them. Travel to kivrei tzaddikim might have its good points, but earlier generations rarely, if ever, made an issue of it. There are very, very few tzaddikim that ever said a word about coming to their kevarim. Reb Nuchem of Chernobil said clearly that learning the Divrei Torah of the Tzaddikim from their seforim is even better than davening at their kevarim. Travel agencies and others in this industry are typically upset by this statement. They know where their bread is buttered. How many stories are there about missions by the Divrei Chaim to Lizensk? Repeat that question with substituting the name of the tzaddik and the cities of the kevarim. This fad is not precedented. I would prefer to see a statement from Gedolei Yisroel asking the community to create places where there would be intense study of the Noam Elimelech to replace the travel. With some creativity, this could work. Who the hell is he? Klal yosroels spokesman??! Many kevorim of Gedolim are in the New York area and in other cities. There is a website kevarim.com which has that information. To the fools who go to Lizensk for the yahrzite please be aware of the following. 99% of the tides who lived there before the war never went back after the war because they knew what the Pollacks were and how they gave up hidden to the Nazis and helped into their slaughter. Isn’t it ironic that the Poles what to whitewash their complicity in the holocaust. Let’s also remember that they also killed thousands of Jews, stole all their belongings and property and have not had to repay one penny in compensation. Who's Dov to tell us what to do. Let him do his job for what he was elected. And he should stop poking his nose where it doesn't belong! With visiting Auschwitz an other deathe camps, even big gedoilim said we shldnt but not for Dovs reasons. Dov is only Mr Propaganda and with his inflammatory words, hes only bringing on unneeded attention to Jews that leads to anti semitism. Whoever can AFFORD to go to kevarim shld continue and beyt for everyone. Its at least this much thats still left for us in this lowly world. “ . So many Yidden are in desperate need of Refuahs and Yeshias and they pour their heart out at those heilige Uves. So its not Ok to visit the Kever of Tzadikim but it is Ok to vote for a German for POTUS. Zeher Kluge. And who are YOU to tell Dov what not to do, you Dov Hatter you! I will be extra stringent and not use shoe polish for a year. Surprise! A Yid can daven and be answered from any place in the world - even from your house or shtender. Just open your heart and talk from there. That's why every Gadul tells visitors they can daven for themselves too same as the Gadul. You are spewing outright lies and narishkiten . Even you don't believe trump is a German that hates Jews . It's complete stupiity even for a never trumper . For starters , tell me why he freed rubashkin if he hates Jews ? Would he commute Mexicans or Muslims ? You are a pathetic liar . I lost all respect for Dov Hikind years ago, before I made Aliyah. But on this, I fully agree. Rabbi Jacob Jungreis Shlita once told me that the earth of the Ukraine is soaked in Jewish blood & that no Jew should be there. His words made a huge impression on me. How many millions of dollars are spent in Uman every year by Jews. Do they love you any more? The Lubavitcher Rebbe ZT"L said a similar thing about Poland. And now, with this latest government-sponsored anti-semitism, why is Israel still sending 11th grade students to visit Auschwitz? All public schools have to take their students (at 6,000+ sh per child.) That also pumps billions into their disgusting country. Enough. Why would anyone want to go there? As Yossi said, there are enough Kvarim here in EY to keep us busy for years. And at the end of the day, no matter which Tzaddik we go to daven at, our Tefillos will surely be answered - even if we daven at home. Former President of Poland, Lech Walesa was quoted as saying that the anti-semitism of Poles, is passed from Mother to child, during feeding. The Poles have shown no contrition for the atrocities which its citizens perpetrated against Jews. Whereas some Poles hid Jews at great risk, the majority were indifferent, or hostile to their Jewish neighbors. Others turned them into the Nazis. At least, the Germans for the most part, have shown contrition, for the past genocide perpetrated by their country. I can't understand why not only Israelis, but many American schools, keep sending their kids on the March of the Living to Poland. In addition, I spoke to a youth leader, who years ago, took a group to visit Babi Yar, in the Ukraine. He told me that they were not exactly welcomed by the local populace, and were given looks as if to say "What are YOU still doing here? Who needs you". The same holds true for visiting the various remnants of the concentration camps in Germany. There are other places for Jews to visit, such as in Eretz Yisrael.